Council of Europe: Campaign against domestic violence: Valérie Létard and Rama Yade take part to the colloquy on Domestic Violence. 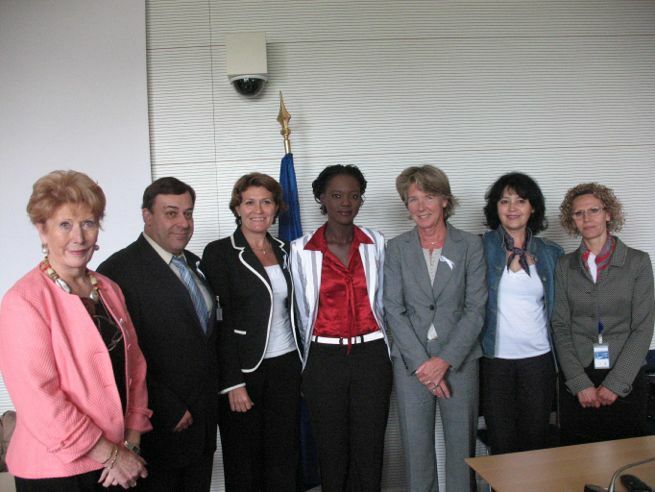 At a colloquy held today by the Parliamentary Assembly of the Council of Europe (PACE) in the French National Assembly, Rama Yade, State Secretary responsible for Foreign Affairs and Human Rights, said that the level of progress made by any society could be gauged by the status of women in that society, and that combating domestic violence against women was not only a matter affecting the status of women but also a challenge for the whole process of social development. She added that the Council of Europe and its Assembly played a frontline role in promoting human rights in this field, reminding participants that the Council of Europe’s Recommendation (2002) 5 on the protection of women against violence had been the first European legal instrument to tackle this problem and quoting the Declaration adopted in Vienna on 30 April 2008, which stressed the importance of action at national parliament level, including adopting new legislation and monitoring its implementation. José Mendes Bota (Portugal, EPP/CD) vice-Chair of PACE’s Equal Opportunities Committee, pointed to the urgent need for a Council of Europe Framework Convention to combat violence against women, including domestic violence, in order to build bridges towards a safer future for women. Valérie Létard, the French State Secretary responsible for Solidarity, said that the impetus provided by the Council of Europe and its Parliamentary Assembly in combating the scourge of conjugal violence was a beacon reinforcing our political determination in this field. “The perspectives set out in the recent Vienna Declaration, including the draft Framework Convention, highlight the need to continue the mobilisation and demonstrates that we can depend on PACE’s commitment in the future,” she said.